If you happen to work for a great company, then chances are you won’t have to spend a lot of time and effort convincing anyone how important leadership development is. The primary reason your company is so successful and admired is because you already are. Good for you! You can spend time actually developing your next generation of leaders and making your current leaders even better. However, if you’re not so fortunate, and you’re not willing to let your company go down the tubes without a fight, then here are 7 compelling reasons to take seriously, to invest in, and to put priority on leadership development. Note: Credit for these goes to Morgan McCall, from one of my favorite leadership development books, High Flyers, Developing the Next Generation of Leaders . We actually used them in a former company to help turn the tide. 1. Leadership makes a difference. The more change that lies ahead, the more important great leadership will be. The quality and quantity can be improved through development. 2. Companies can’t always find outside or buy the leadership they need. If they do, it is expensive and does not come with a money-back guarantee. Sports teams can rarely buy a championship through free agency. In business, success in one company does not always translate to success in another. The higher the level, the more expensive they are. Costs include wasted salary, relocation expenses, finding and installing a replacement, buy-out packages, damage to morale and productivity, and a slew of other intangibles. 4. Survival of the fittest is not the same as survival of the best. Leaving leadership development to chance is foolish. There just are not enough potential leaders around to allow most of them to drown with no assistance. Side note: A cockroach is one of the most adaptable creatures on the planet. That's survival of the fittest. Do we want our organizations led by cockroaches? 5. Most of the cost of development is sunk. 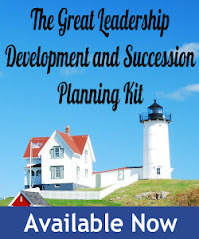 Leadership development is already taking place within any organization (job changes, stretch assignments, making mistakes, and role model bosses). Not to reap a return on the investment is bad business. 6. Creating a learning environment is consistent with business strategies that involve having employees take on more responsibility, assume more risk, and solve problems. 7. It's good business practice. Investors consider the quality of a corporation’s management. Talented people prefer to work for companies that invest in their development. Customers prefer to work with companies that can solve their problems. Companies like that have strong cultures that place high value on leadership. Make this your elevator speech to your top executives (OK, you might have to accidentally hit the stop button). Memorize them, enhance them with examples and data from your own company, and recite them with conviction and passion. GREAT article!! Thanks Dan - your blog is one of the best out there! 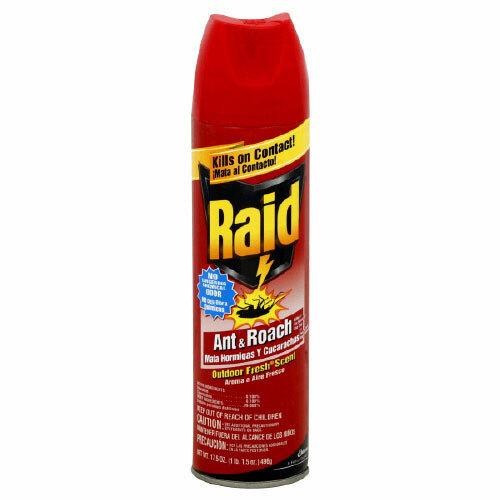 OMG - I hate roaches! I haven't been able to read the post yet because of that horrific picture. Thank-you so much for saying that! 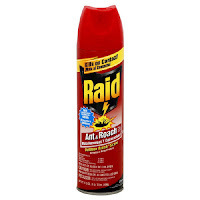 OK, just for you, I've replaced the roach with a can of Raid. Now you can read it - no more nasty bugs. Dan- I think that if the leadership isn't engaged, the whole team has a hard time succeeding as well. The leaders have to care and be dedicated to making the org great. Otherwise they are just showing up. They won't get the needed results unless they set the example. I think you got good reasons to let leaders to reconsider how they are going to manege their companies. But I have a question that do you mean any successful company is basic on the successful leadership? I think some companies do great only because their excellent products. Because of their amazing products that people need to use/ buy them, we sees those companies as successful, too. Your item 3 brings up an excellent point. The dollars spent on turn-over could be redirected on leadership development and equate to significant savings. In a mid-sized company the cost for voluntary resignation of an executive starts at $250,000. Think of the leadership training those dollars could buy! Could you provide some ways how to develop our leadership? I know leadership is pretty essential for us. However, I am not sure how to improve my leadership in my daily life. A couple of thoughts: #1-leadership development is only effective if the executive leaders model what they are trying to develop in others. Example is always the best teacher; #2-the best development focuses on what leaders do, not who they are. Leading is not about your DISC score; #3-if you are a leader, really, then developing leaders is part of your job description, not a side project. Thanks for another great post on great leadership. Right, engaged leaders develop other leaders. You're right, there are lots of factors that contribute to a company’s success. However, I think every one of them all is influenced by the strength of a company’s leadership. Thanks. Yes, it's always a better bargain - and less risky - to grow from within. Reading this blog - and many other good ones- will give you hundreds of way. Thanks. Excellent piece, Dan! Leadership matters. It’s that simple. From the top down and the bottom up, good companies thrive because of solid leadership. When companies recognize this, they can bolster their standing and improve their bottom line. As this article (http://www.upyourservice.com/learning-library/customer-service-vision/four-steps-to-a-better-service-culture) suggests, it doesn’t take many steps to enact a positive, service culture, but it does take dedication from everyone on board. Thanks. No doubt - improve your leadership, and it goes right to the bottom line. Great ideas Dan. I'm always amazed when companies aren't investing in their present employees or considering them for leadership opportunities. I've found that it helps to be proactive and start learning about our employees' talents and abilities so that we can start preparing people at all levels of the organization to be leaders. There are some amazing natural leaders who fall through the cracks because nobody had their eyes or ears open. That's when most organizations go to the reactive outside hire. Same here. It presents a real competitive advantage for those that do. Thanks.